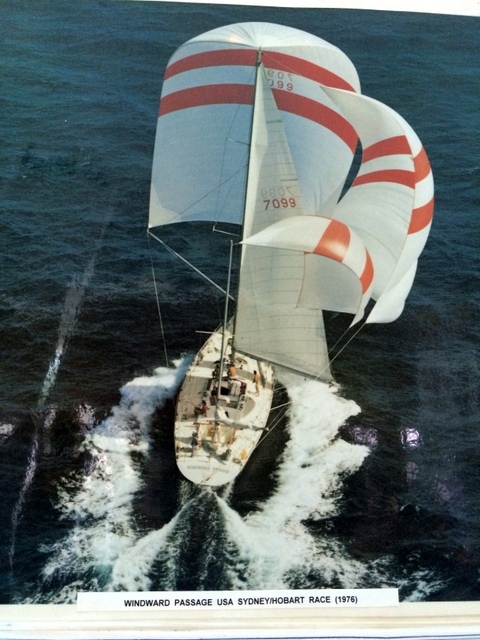 Carlson Design – Rolly Tasker Sails – “Same Same, But Different”. Rolly Tasker Sails – “Same Same, But Different”. 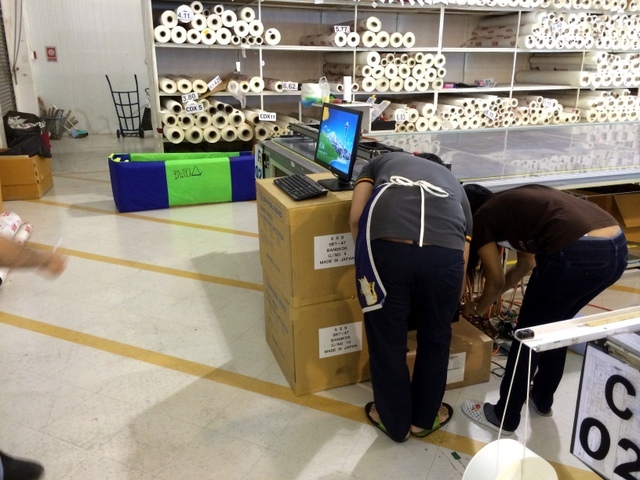 This common Thai expression perfectly sums-up the installation of our SECOND Pro PT Plotter/Cutter at Rolly Tasker Sails in Phuket,Thailand. This year they purchased a NEW PT-72” Plotter/Cutter to complement their 2007 PT-78” plotter/cutter. Rolly Tasker Sail design and cut team gives a big “THUMBS UP”! 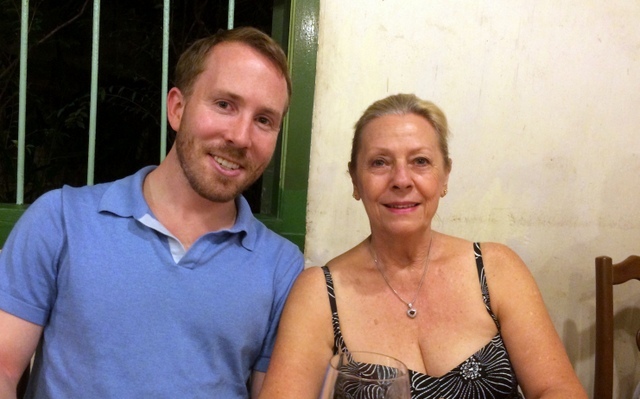 We coordinated our visit with the AGM, Sven Cornelus – who lives inGermany– so that he and owner Kerry Tasker – who lives in Australia– would also be in Phuket at the same time. Unfortunately, Rolly Tasker, the founder and name sake of the loft passed away in 2012. Rolly was a world renown sailor. To give you an idea, he wrote a book called “Sailing to the Moon” because he sailed around the world enough times to go to the moon and back! 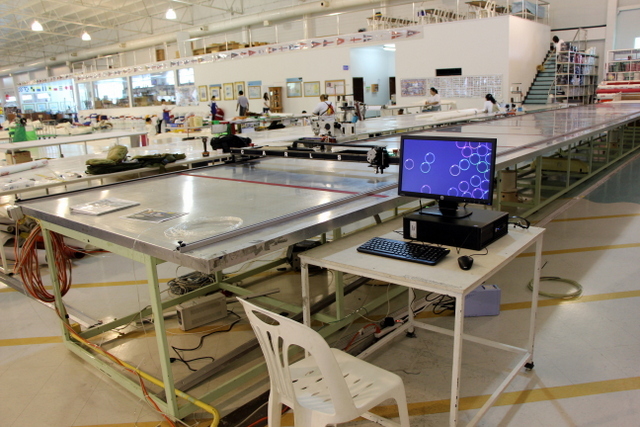 We had the pleasure to meet Rolly in 2010 during our installation of GMAT’s PT-108” plotter/cutter in Bangkok,Thailand when we made a day trip to Phuket loft. 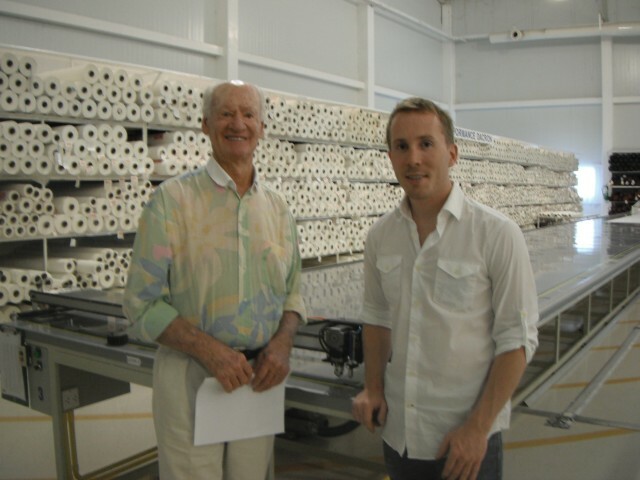 We met again in his home town, Mandera, just south of Perth, Western Austrailia during our installation of Advanta’s PT-96” plotter/cutter in 2011. Kerry and Rolly helped us feel right at home, touring the town and visiting Rolly’s other baby, “The World Cup Sailing Museum” — parts of which are now on display around the world. Rolly Tasker believed in simplicity and he created a simple, purpose built loft to build well designed, well made, affordable sails. Of course, simple doesn’t mean small. 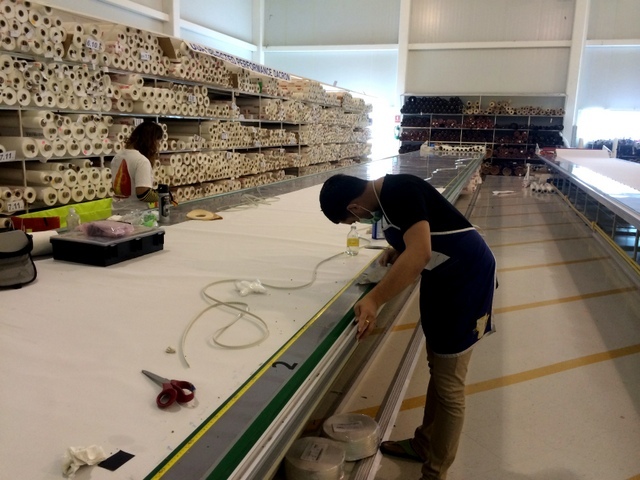 Rolly Tasker Sails is the world’s largest purpose built sail loft at over 9000+m/sq. 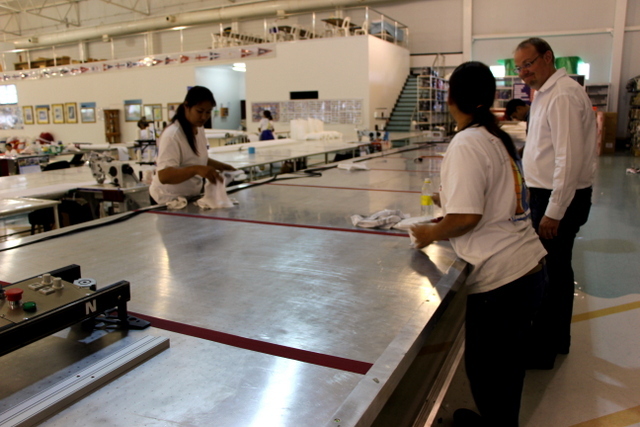 With 100+ skilled Thai men and women (mainly women) they can make the perfect cruising sails at the perfect price. 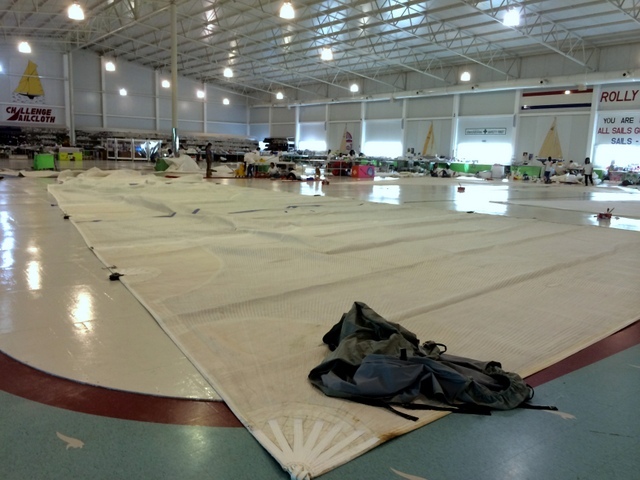 Large custom sails are NO PROBLEM for the world’s largest purpose built sail loft. 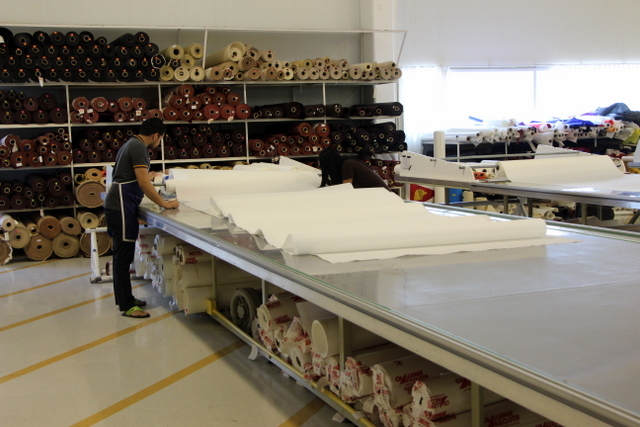 They are also the largest privately owned purchaser of sail cloth in the world! Those rolls aren't even half their stock! 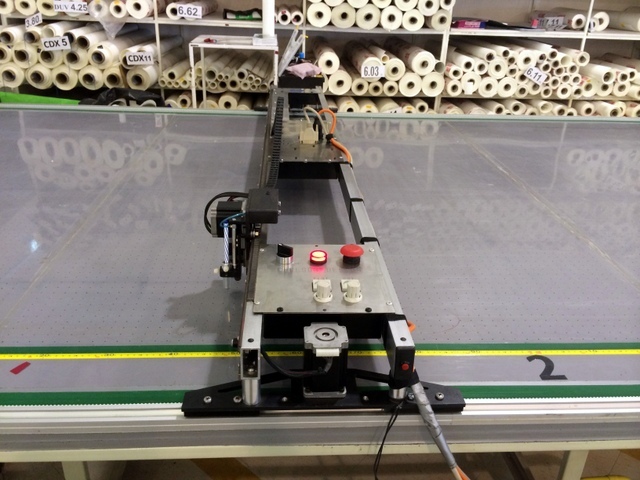 In addition to installing their new PT-72” Plotter/Cutter, we also updated their PT-78” plotter/cutter from 2007 to run on our new Plotmaster USB (PMU) software, added Autonesting to their workflow, AND trained their sailmakers on the “best practice” procedures to operate and maintain both systems. 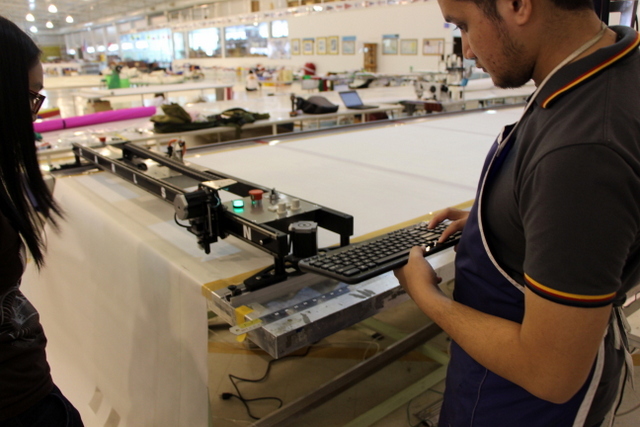 Pro PT-72” Plotter/Cutter on 14.5m long home built table. Pro PT-78” Plotter/Cutter from 2007 “spit polished” to run like new! Autonesting saves A LOT of time, but more importantly it turns nesting into an entry level position. Checklists make certain ANYONE can make great plots and cuts. We designed and printed these specifically for Tasker's workflow, between training sessions. 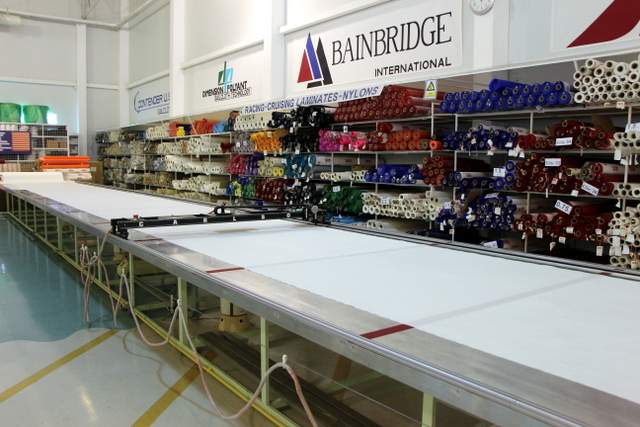 March is the eve of Rolly Tasker Sails busy season, so our installation came at just the right time. 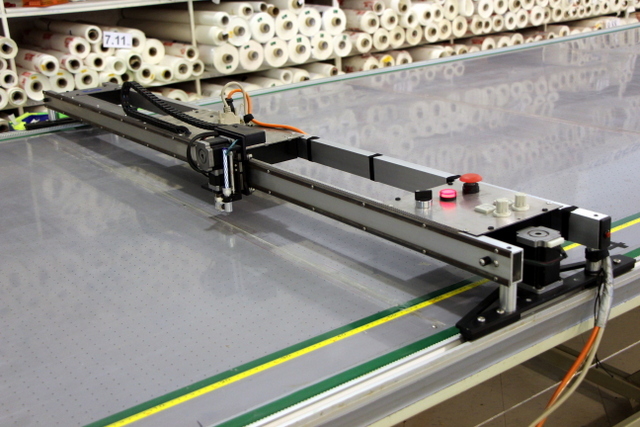 In a month or so, the new PT-72″ plotter/cutter will be making 10 sails or more each day. 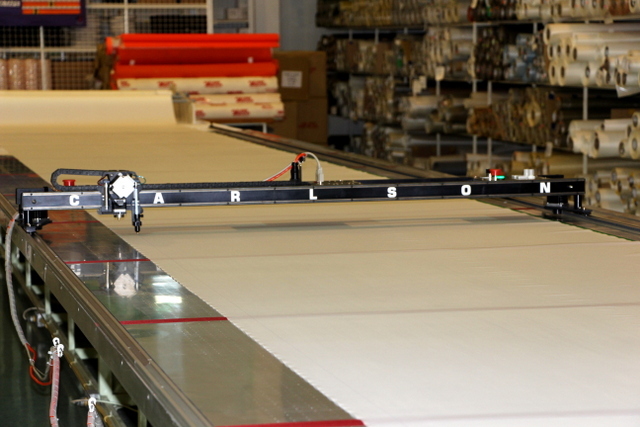 Now that they have two Carlson’s running identical software, they will be able to significantly increase their marking and cutting throughput, without needing to train new personnel at a critical time in the year. Another BIG improvement is the addition of Autonesting. 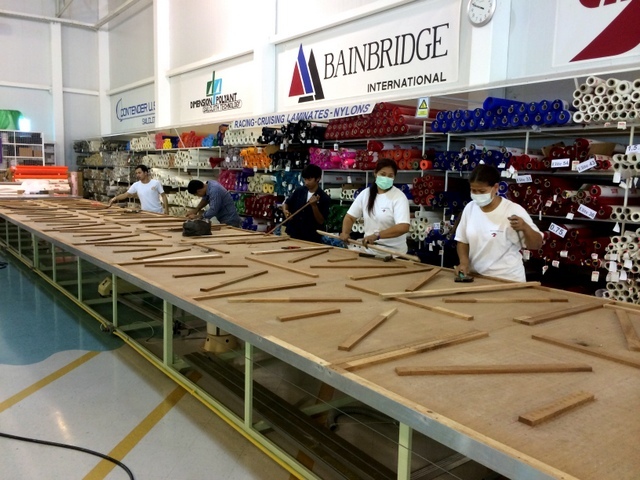 They are accustom to manually nesting hundreds of sail panels. 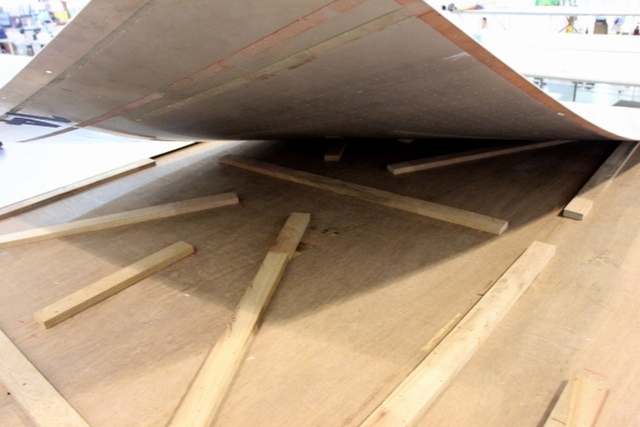 Manually nesting 100+ sail panels can take a VERY long time. 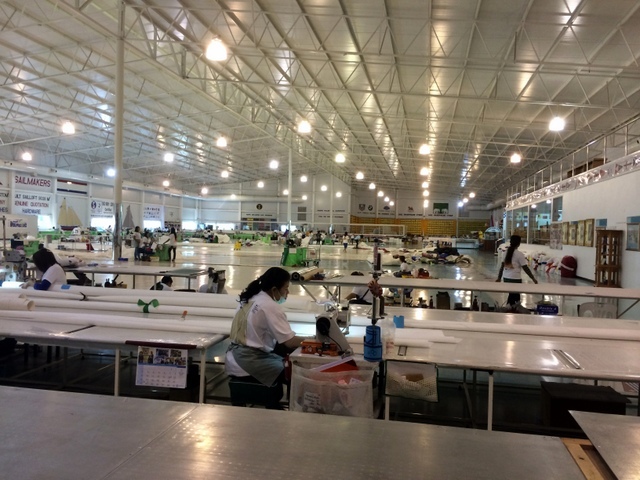 Their sailmakers are experienced manual nesters and very fast at MANUALLY finding an optimal layout. We watched sail designer, Amp, nest the above sail with over 120 panels in 22 minutes with an 82.2% material yield on 38.3m of material. 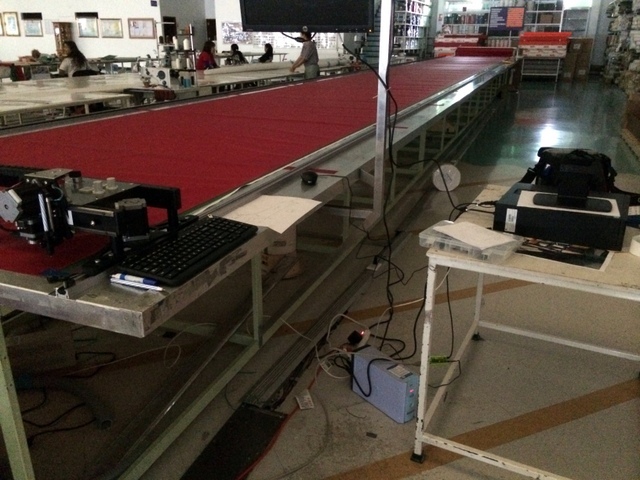 We ran the same patterns through our Autonesting software and with the click of a button saw an 80% material yield on 39.16m of cloth in 3 SECONDS. Since it is automatic, there is no room for human error. You cannot forget a part, accidentally rotate something that shouldn’t be rotated, etc… This turns nesting into a VERY FAST, VERY ENTRY LEVEL position. Autonesting keeps looking for the best layout. The longer it runs, the better it gets. Imagine trying to manually nest the same pattern more than once to compare results!!!! The sail designers LOVE Autonesting. After one day they didn’t want to go back to manually nesting and purchased a second license. 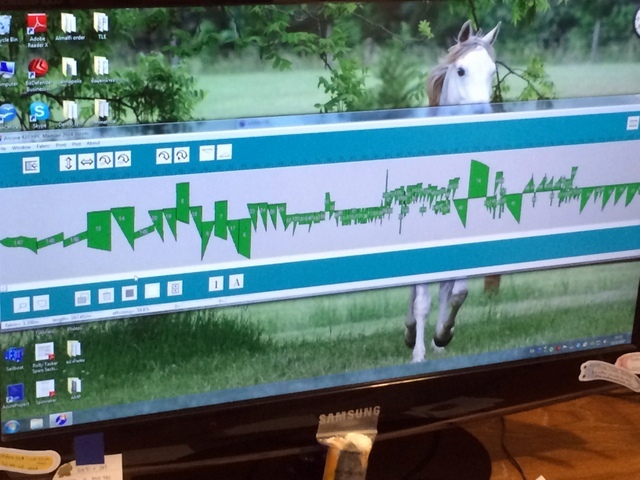 You can see a start to finish video how to IMPORT and AUTONEST an SMSW file and then START PLOTTING/CUTTING. CLICK HERE FOR A VIDEO OF IMPORT, AUTONEST, AND CUT. 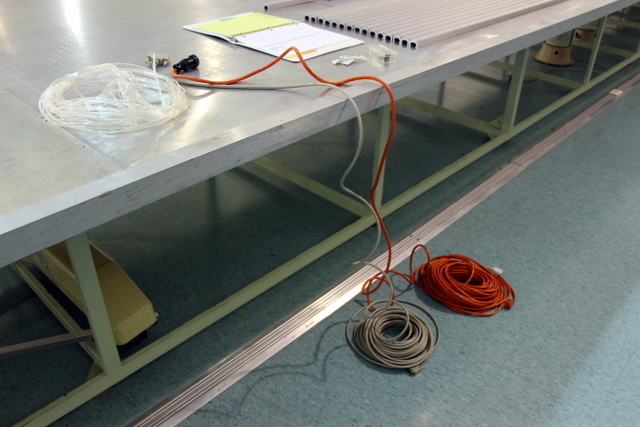 The table for their new Carlson PT-72” Plotter/Cutter originally held a 2meter wide Prosail plotter/cutter which was removed after it died. 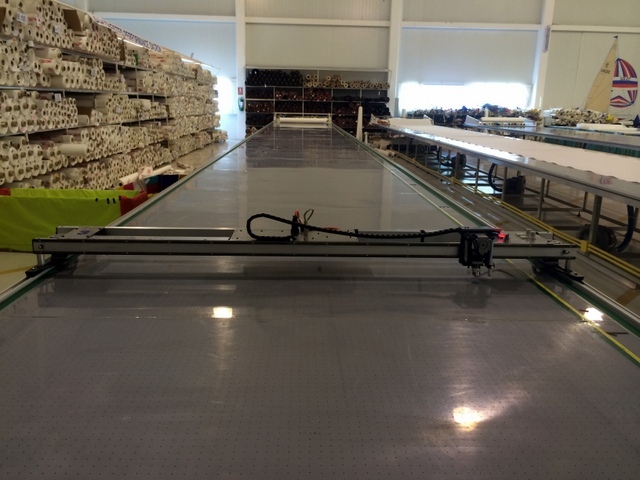 Since sail cloth comes in 54-60” wide bolts, they decided there was no reason to purchase a 79” wide system when our standard PT-72” (1.829m) will plot/cut up to 63” or 1.6m wide goods. 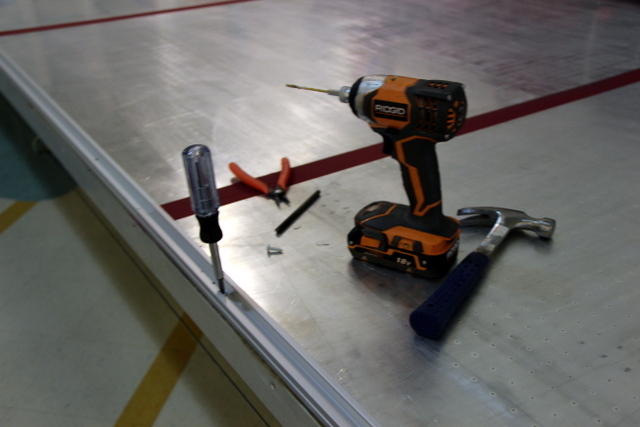 After we showed them what we need, they modified their existing table to account for our narrower track placement. Thai crew modifying their homebuilt. 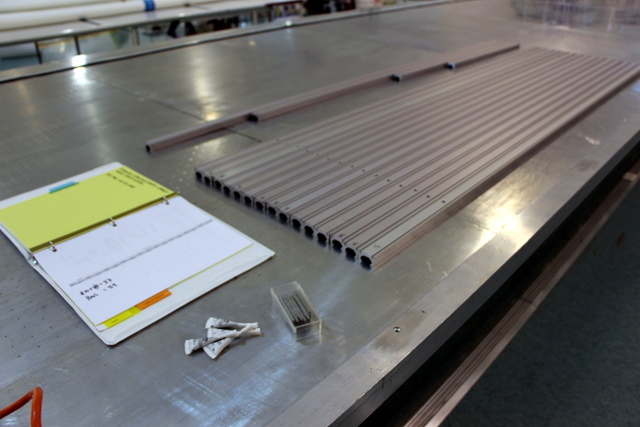 Note: it’s easy to build your own vacuum table! A narrower table requires fewer vacuum blowers. Step1: Create a vacuum chamber. Supports across the table allow airflow and help carry any load placed on the table top. They chose to cover their table with sheet metal tops. Seal all edges with silicone to prevent vacuum leaks. Sheet metal tops work great as a table top if you are only plotting. 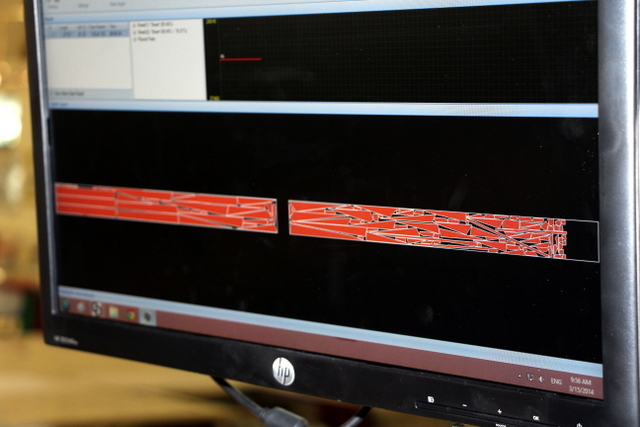 They are a hard, stable, inexpensive surface – although a little difficult to drill. HOWEVER, if you are also cutting (which they will be), you really need to use a consumable plastic cutting surface (HDPE, PP, Lexan, Etc…) between your table top and material to prevent dulling your steel rolling blades. Polishing tops to remove any burs created during drilling. Taping the seams to prevent leaks and sharp edges. 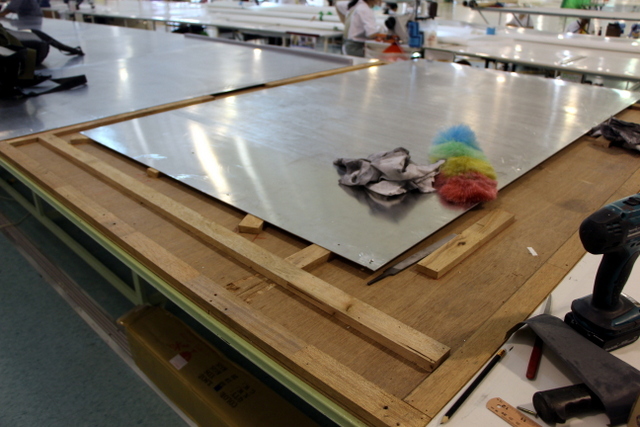 Polishing tops to keep metal dust off sail cloth. 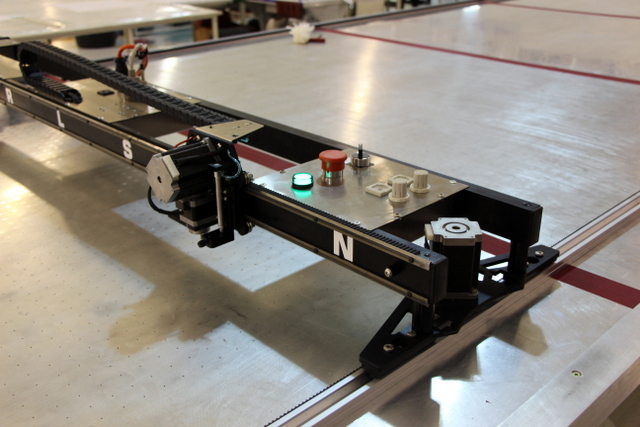 Quick tease -- Glam shot -- a clean and installed Carlson Design PT-72 Plotter/Cutter on a home-built 14.5m long vacuum table. While they are building their new table, let’s go clean-up, tune-up, and update their existing PT-78” plotter/cutter from 2007. Carlson Design Pro PT-78” plotter/cutter from 2007. This system was in good shape except for a blown power supply (from being connected to 230vac instead of 110vac), worn track trolleys (wheels), loose drive belt, and generally in need of a good bath. 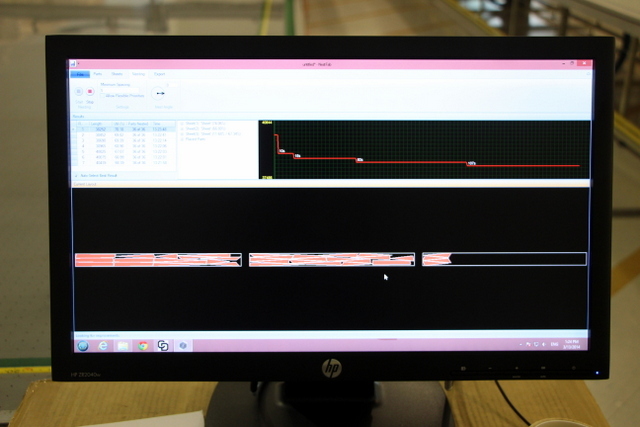 We began tuning by performing basic maintenance. They replaced their drive belt a few years ago. The belt was in great shape, but the adhesive they sourced locally didn’t hold. This meant the belt was detached from the rail every 5’-10’. Loose belt means the machine could potentially slip and lose position. The solution – remove the old drive belt, scrape off all of the bad adhesive, rub the belt thoroughly with Acetone so it will form a good bond with the new tape, apply new sail tape to the track, and EVENLY spread the belt back onto the track. New drive belt must be applied with even tension. When replacing the belt, you should replace both sides, so that the belt is from a single batch, with symmetrical tooth spacing. 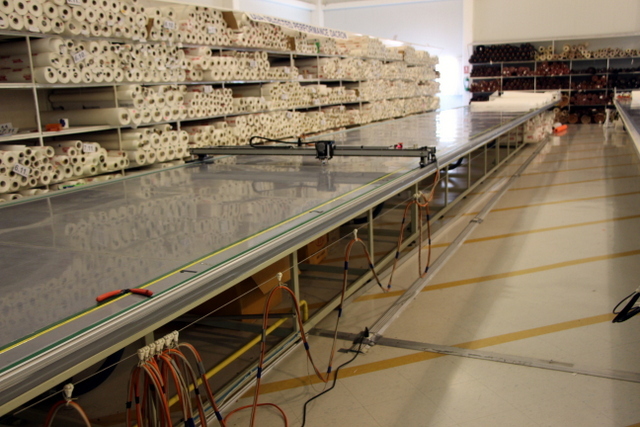 We replaced their power supply with a new dual voltage (110/230vac 50/60hz) power supply, installed a new set of track trolleys (four), and updated their software. SHE LOOKS GREAT! 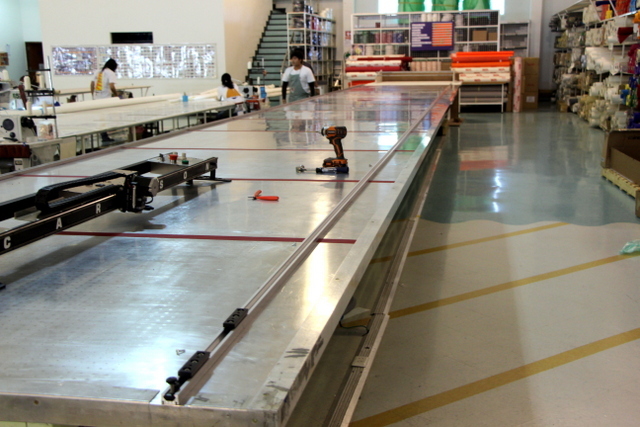 Check out our 2007 PT-78” Plotter/Cutter on a 17.6m long table (photo taken in 2014). Unpack the plotter/cutter. 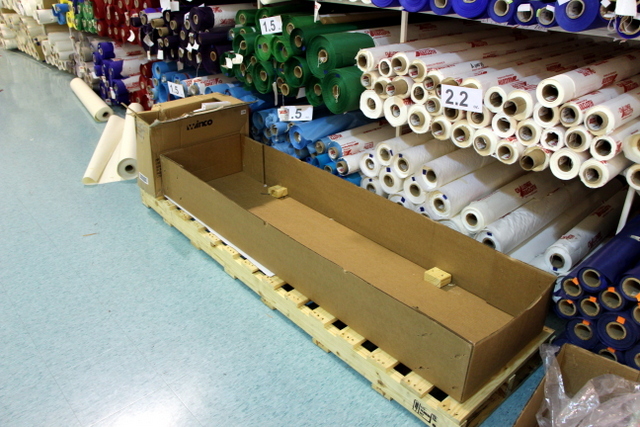 This 84”x24”x20” pallet is sturdy enough to protect the shipment, but light enough to keep shipping costs to a minimum. Inspect your plotter/cutter for damage. Layout track and set pins with Loctite. Use the manual to ensure proper layout. Set side A. Visually align as straight as possible. Using a center punch, pilot hole, and screw driver manually secure Side A to the table. Attach side B. Align the track on table and attach sections with Loctite. Make certain there are no spaces between track sections. 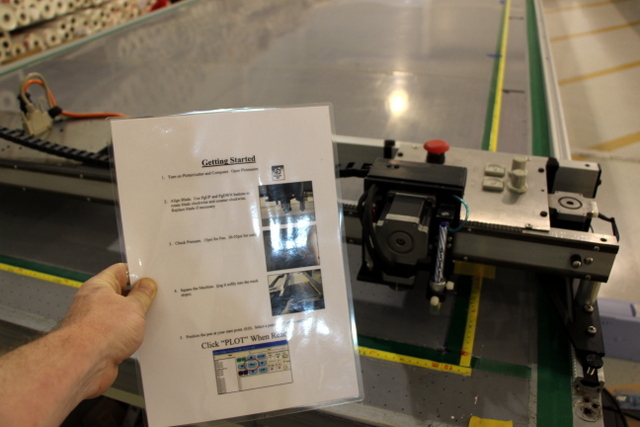 Place plotter/cutter gently on your four trolleys. 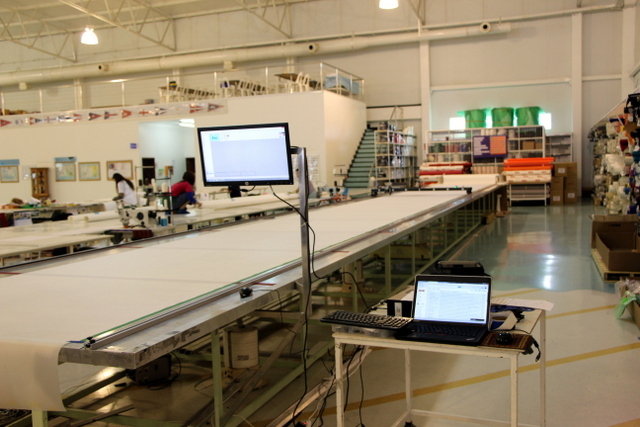 Square the trolleys and plotter/cutter to the table. 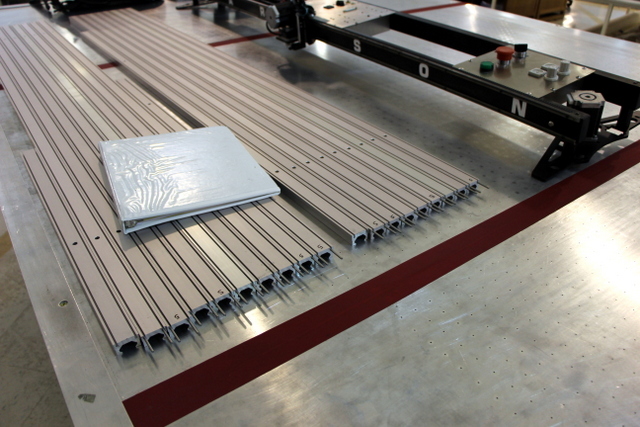 Tighten trolleys and use the plotter/cutter as a jig to align side A and B. 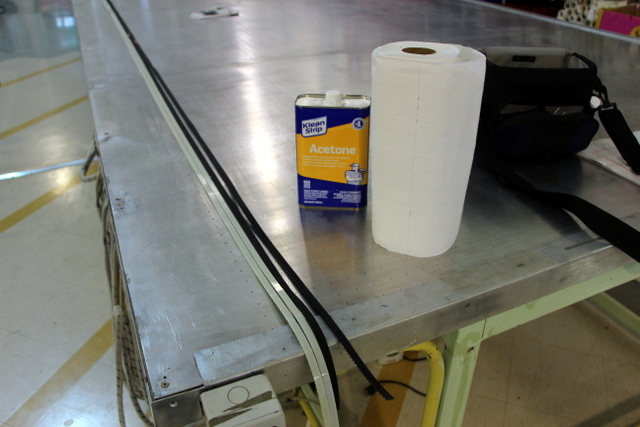 Rub drive belt thoroughly with acetone before attaching to track with Carlson Design approved double-sided tape. Attach belt to track evenly. Replacement belt must come from the same batch to ensure even tooth spacing. Nit noi – in Thai means “very close” or “almost done”. 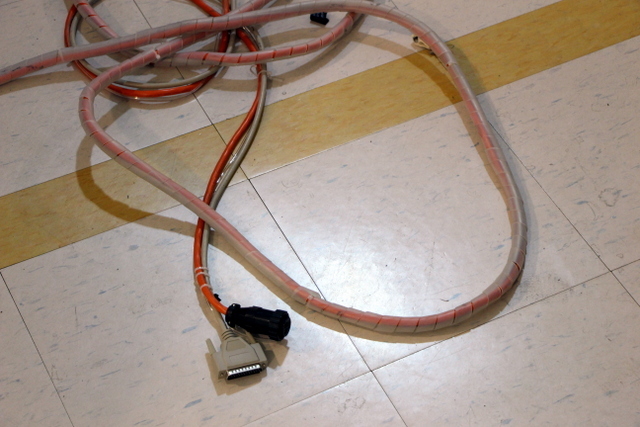 Connect air, control, and power cables. They rapped their cabling for improved cosmetic appeal. Side mount cable management. 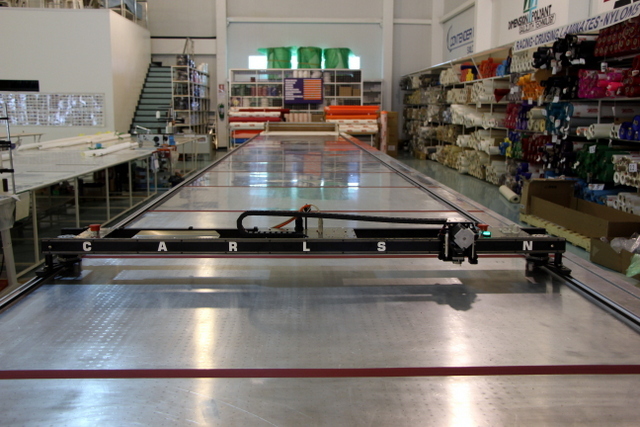 This works great on both their 14.5m and 17.5m long tables – that means it will work well on your table too! 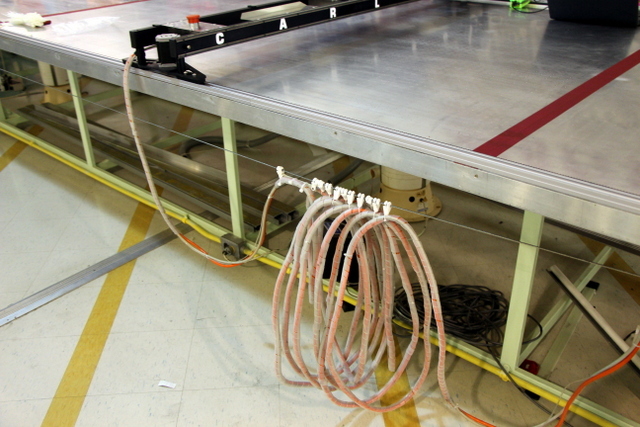 The cable rides on the wire using off-the-shelf sail slides available from Carlsondesign.com. 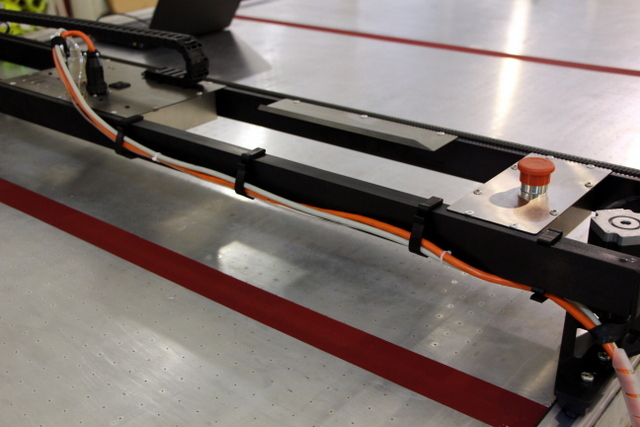 Attach your cables to the back rail of your plotter/cutter. 3D printed clips supplied by Carlson help keep your cable secure and your plotter/cutter looking its best! Sven says, "We must install UPS battery backups". We ask, "but Why??" This is why! 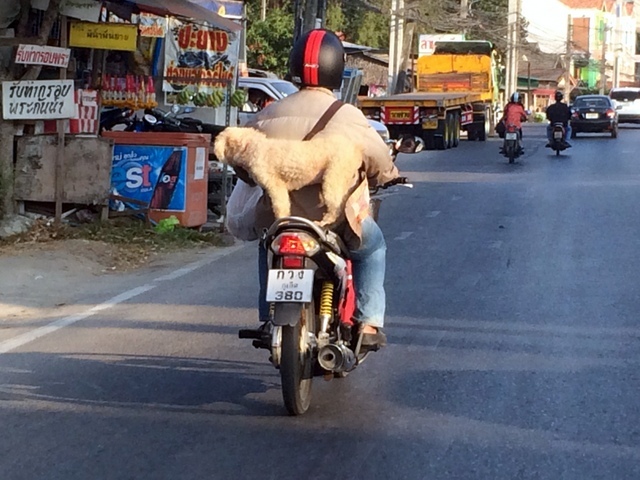 In Thailand, sometimes the power goes out. This could be an expensive outage if it happened in the middle of a plot/cut. 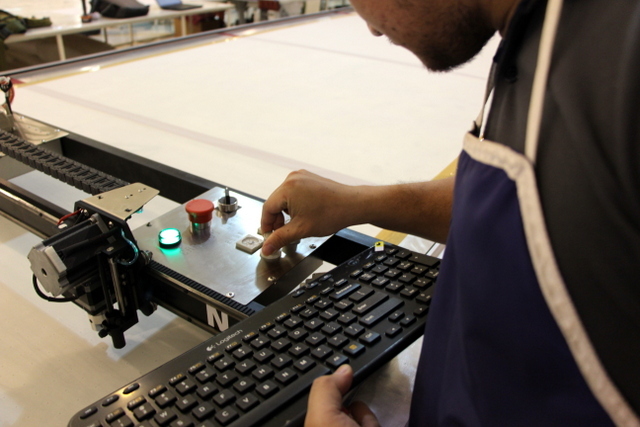 The UPS gives the operator time to finish working OR pause and send the plotter/cutter back home. 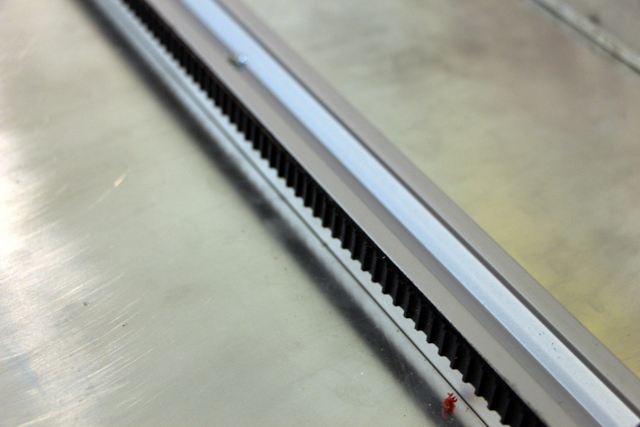 Vacuum blowers: They use 1HP regenerative vacuum blowers every 100sqft for pen plotting. For cutting, they need to switch to larger RADIAL blowers. 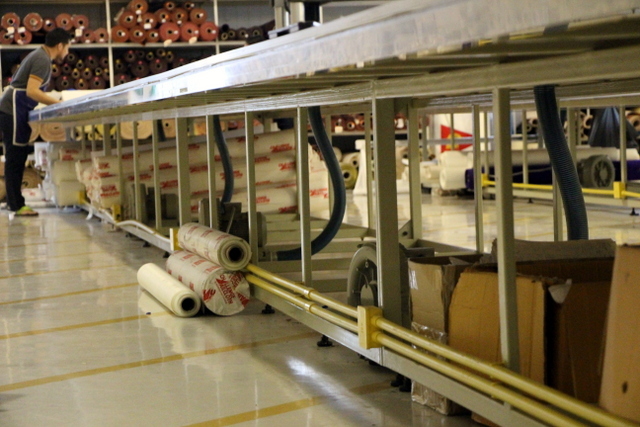 Because Radial blowers move large quantities of air, they can keep your material secure even as the vacuum is released during cutting. Temporary workstation #2 while they build their new monitor mounts. First monitor mount finished! Keyboard tray and drawer to follow. 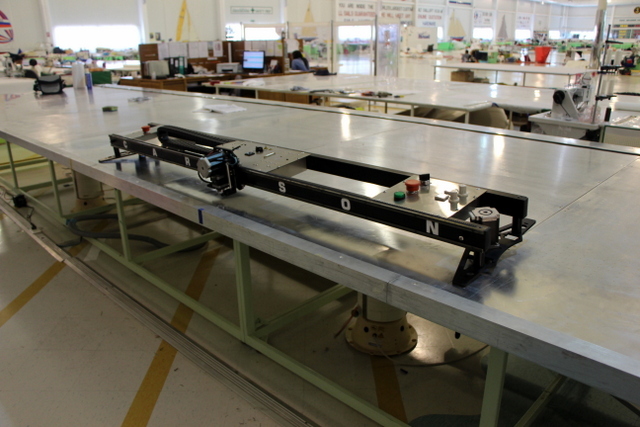 This workstation was entirely fabricated in-house. Begin training Arm to use autonesting. Amp sets the pressure on the machine. ~15psi for plot and ~25-40psi for cutting. Amp and Arm working together to synchronize the procedure for running the PT-78 and PT-72. Amp uses our wireless keyboards (standard) to square the plotter/cutter. Arm and Amp spread material. We’d like to give a big thanks to Sven for taking great care of us and making this a wonderful trip. We’d also like to thank Kerry, Mike, as well as Amp, Arm, and the rest of the staff in the cutting department. If you’re interested, here are a few colorful pictures from our install in Thailand. Driving into work! Can your dog do this?? 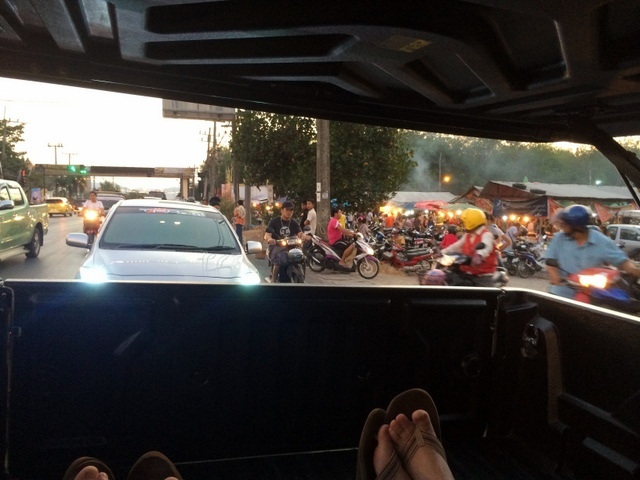 Sven and Thomas riding “Thai Style” to dinner. Dinner with Kerry Tasker and crew. We had an international table with an American, Australian, German, Englishman, and two Frenchmen! 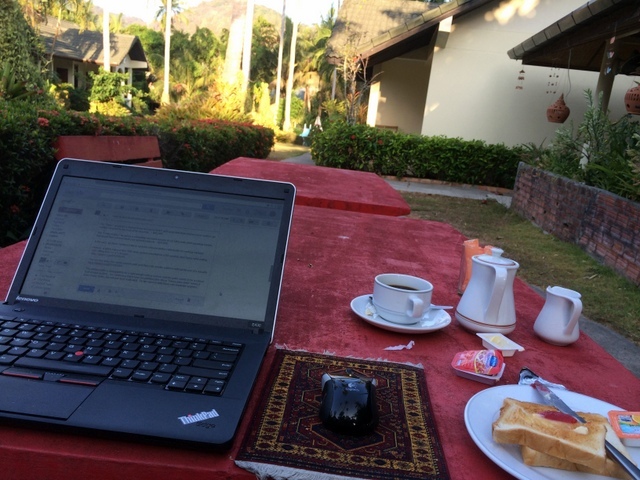 Morning Office. Enough time to answer emails from the states and eat toast before heading to the loft! A picture on the wall of one of Rolly Tasker’s racing boats. Incredible! “The Thai House”. 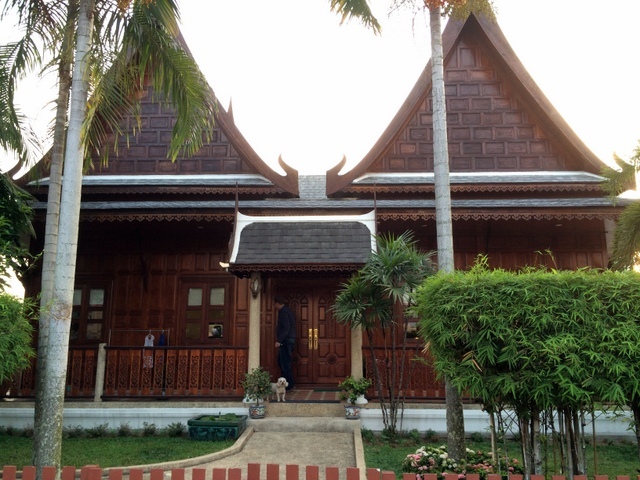 Built in the parking lot of the sail loft by Rolly and Kerry, this is an authentic Thai house. Beautiful. That’s all folks! 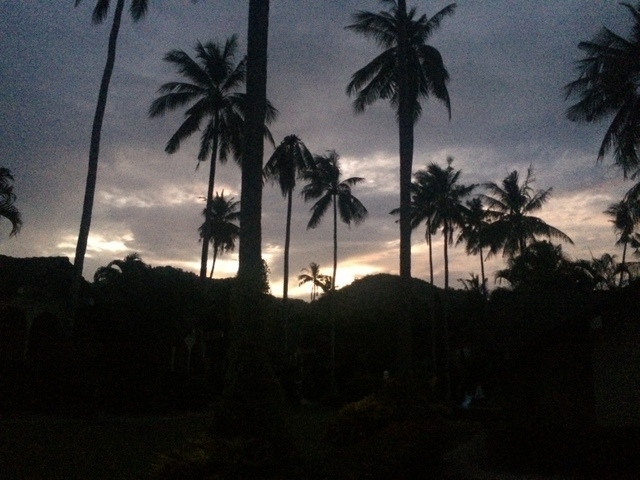 Goodbye from Thailand. Last night sunset. Half the island didn't have power.